Chennai Express has shattered all Box Office records with in first few days of its release. It is still going strong at Box office with total of 114.50 crores till Monday. It really seems that Eid has work wonders for SRK much like it has worked for Salman Khan for the last few years. Chennai Express has shattered all Box Office records be it the first day Box office record or first weekend Box office record. The pace with which the movie is running at the Box office, it seems that more and more Box office records are at stake. Ever since the movie is released comparisons are being made with the Box office collections of Ek Tha Tiger. It is Salman Khan’s Ek Tha Tiger vs Shahrukh Khan’s Chennai Express all over. Lets have a look at the 5 days collection of Ek Tha Tiger and Chennai Express. From the figures mentioned above it is clear that Chennai Express is far ahead of Ek Tha Tiger and is a sure Blockbuster at Box office. We are predicting that the 5th day collection(Tuesday collection) of Chennai Express would be around 9 to 10 crores. Chennai Express is now eyeing record first week collections as well as 3 Idiots magical 202 crores Lifetime collection record. Do pour in your comments. Hi, after reading this remarkable post i am also glad to share my know-how here with mates. Thank you for every other fantastic post. Where else may anybody get that type of information in such a perfect manner of writing? well for both the movies …i dont like story… movies with good story should also be made in India, im a big fan of Hollywood and get amazed by their level of thinking….i hope we shoudl take inspiration from them. I believe our directors are just common people who have not seen the world outside. Even our big actors should avoid doing such movie, The level of cinema in India is going down. Action jackion break the all record off box office in april next year. Dircted by parbhu deva. Cast. Ajay devgan, sonakhsi, yami. Spcl aprnce salman and anil kapoor. Keep up the excellent piece of work, I read few blog posts on this website and I conceive that your blog is real interesting and has got sets of fantastic info . We will continue posting such articles.. Thanks a ton for appreciation.. Thanks a bunch for sharing this with all folks you seriously recognise what you’re speaking about! Bookmarked. Kindly also go over with my web site =). We can possess a link trade contract amongst us! This definitely is an incredibly remarkable strong resource that you’re supplying and also you just present it away cost-free!! I comparable to discovering sites that view the unique price of providing you stunning understanding resource for zero cost. We genuinely dearly loved examining this website. Be thankful! Excellent site you have got here.. It’s hard to find high quality writing like yours nowadays. I truly appreciate people like you! Take care!! @Umeshjabse south indian dub ki hai tabse sallu ki lottery lag gayi hai. SRK is the king of king,the one and onle emperor of the bollywood. jabse south indian dub ki hai tabse sallu ki lottery lag gayi hai. @pushkar SUNA HAI SALMAN KI GF KATRINA BHI AAJ KAL LIKE KARNE LAGI HAI SRK KO.JAB SALLU KE YEH NANGA NAACH BHI USE JAB IMPRESS NAHIN KAR SAKA TO SRK KI CHOTI SI SMILE NE KAR DIKHAYA. @Sallunanda DABANG BHI EK COMMON MEN SE HAR SAKTA HAI KYUN KI BAAZI JITNE KE LIYE BLOODY DABANG HONE KIYA MUSCLE POWER KI JARRORAT NAHIN ,EK ACHA DIL HONA CHAHIYE. JO KI SAB APPRECIATE KIYE HAI THAT’S WHY CE BECOME BLOCKBUSTER. IF THE COMMON MAN BACAME DON THAN ,TO IS CHUHE DABANG KI TO LAG JAAYEGA BOSS. @public ANOTHER WORST SOUTH DUB KICK. PLS KICK THIS BSTD SALLU OUT OF BOLLYWOOD. @Dk Boss HE IS AMURDERER AFTER GO TO JAIL HE AUTOMATICALLY BACAME MENTAL. 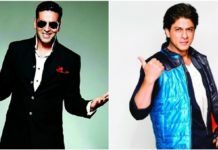 @ramesh WELL SAID BUT AMIR IS ALSO BEHIND OF SRK. @zishanjabse south indian dub ki hai tabse sallu ki lottery lag gayi hai. @raj SRK ki fans ke aage sallu ki fans tinka hai, I mean NEGLIGIBLE.Don’t feel anger or sorry it is the truth.that.s why he is the king of bollywood. @jaypal akade SRK TO AISE HAIN JO KI AMIR OR SALLU JAISE BOLLYWOOD RELATIVE FAMILY SE NAHIN HAIN ALL HE BECAUSE OF HIS HIDDEN HUNGERNESS FOR ACTING.STRADOMNESS,CHARMINGNESS.THAT’S WHY NOT ONLY IN INDIA HE HAS FANS ACROSS WORLD AND HAVING HIGHEST FANS. I THINK THIS EID IS LUCKY BECAUSE IT CAN ONE OF THE ALL TIME BEST SRK MOVIE. @salman DIL KI BAAT CHI DALA TUNE SABKI WAAT LAGA DALA TUNE SALMAN NAAM HOTE HUYE BHI TRUE FAN TUJHJHE BANAYA SRK NE. ARE YOU INA DOUBT?WHO IS SALLU AND HE IS NOTHING INFRONT OF THE KING OF KING THE BADSHAH OF BOLLYWOOD SRK. sallu is lallu bal bhi banka nahin kar sakta SRK ki. boss ka boss, king ka king hai SRK. SRK se panga nahi lena nahin to aag laga dega. pehle 3idiots ko tode phir SOCHNA WHAT THE THING IS CHENNAI EXPRESS. are yaar to veer zaara.mnik.devdas ki baat kyun kar raha hai. he can’t even build his body perfectly compared to john,hrithik. his body is just like an old man’s fat body worst 4pack fattish body ever. and his face swells like pig. ye sab movie ke naam jo tu liya hai sallu sapne main bhi in filmon main acting nahi kar sakta hai. @muzammiljabse south indian dub ki hai tabse sallu ki lottery lag gayi hai. after a long flop films sallu started to do south remake than he got the formula and always doing such films with those crap figting skills just like childrens fighting with each other. no other types of acting he can do. sallu always make his fan fool and now we are laughing at those foolish fans. @pembaoveracting to to koi salman se sikhe sab dialogue ghasith kar bolta hai jaise ek murderer bolta ho and yes he is the real life murderer should hanged for death.abe aisa koi bakwas srk dictionary bhi nahin hoga jisme overacting ka shabd ho.and by the way SRK’s overacting is infinite times better than sallu’s natural acting. sallu is the one and only actor in btown who doesn’t know about a bit about acting. @sonu shaikhjabse south indian dub ki hai tabse sallu ki lottery lag gayi hai. @pushkarjabse south indian dub ki hai tabse sallu ki lottery lag gayi hai. @jd sach bola yaar .jabse south indian dub ki hai tabse sallu ki lottery lag gayi hai. agar sab ye dekh rahe ho to batao SRK ke alawa love based film koi hit kar sakta hai?salu ko acting nahi ata isliye hamesha fighting film nikalta hai.aur jab dekho uska look gussa hotaa hai.kabhi hasega aur kabhi mooh kholega to aisa lagta hai kisike upor ehsaan kar raha hai.aur ek pagal hai amir hamesha soch soch kar batata hai jaise family plannimg kar raha ho aur movie bhi waise hi release karta hai.SRK jab bhi bolte hain dilse boltein hain that’s why he is always called “THE KING”.sallu abhi tak masala movie niklta raha,uske sab hit collections ko ek “CE” kha gaya hai.agar socho srk sab movies CE ke saath mila liya jaaye to box office ke paas ko kehno ko kuch nahi bachega. sallu ki har masala movie SRK ki ek masala movie CE ke saamne kuch bhi nahi.isse pata chalta hai ki sallu tu to SRK sir ki po chatne ki layak bhi nahi.amir ke padosi SRK fan ne pyar se apni kutta ka naam srk kya rakh liya amir ko to chance milgaya srk ko kutta bolne ka.phir ghar aake mafi mangta hai,aise hi bhik maangte raho bhikariyon kuch to aage jaoge.DDLJ is the one and only movie hai jo 18 year tak theatres mai chala.issse pata chalta hai ki SRK is the biggest and greatest actor in this whole world.he is the one and only actor who always compared with the bibg amitabh. SRK ham fans aapki movie se collections ke wajah se nahi dekhte ye to aapki romance,mohabbat aur pyar hai aapke film main jo humko khich le jaata hai. they are best in their own way…but i think sRK DOESE little bit over acting in the movie…But sallu does..natural not fake….but next year eid will be the another history for bollywood…SALMAN IS GOING TO BREK ALL THE RECORD OF CHENNAI EXPRESS I,M 100% SURE…..
Salman is surely better than those both…. sallu is king of kings…..aur srk ek dum bekar h saale ne bahot over acting kar diya….sallu to bollywood kha god father h…. Shame on Salman fan, WANTED remake of SOUTH, BODYGUARD remake of SOUTH and now his coming movie KICK , KUCH TOH SHARAM KARO YAAR. hi guys if you accept or not truth will never Chang and truth is srk is king of bollywood and his all movies is superhit he is awesome hero forever and ever. jab srk bad hai toh,sabhi star bad hai jo 100 crore ke club me hai,ek tha tiger itni kharab movie hai ki uske jaisi kharab movie 100 sal me kabhi nhi bani,aur na kabhi banegi. Srk is the best n i hope srk movies vill always in no. 1 position. are you kiding me.. have you actually watched Ek Tha Tiger? it is the best movie.. The Movie is a family entertainer thats why chennai express is still collecting a huge audience. Hey umesh you are very very very wrong srk & his chennai express both are awesome no o ne can beat them.Sallu bhi nahi. i am not fan of sharukh, he is my breath. meri jan. i love him respect him loot. and i also wish suggest him that pls pls, verify the script before u signing the project. because we don’t get to c ur in bad script and ur movie get flopped. so pls be careful choosing the film .Here is your top 10 most worst movie. guddu, zaman deewand. Angresi babu desi mam, Oh darling ye hai india. and R On and Ramjane and finaly KOyala ad army,chamathkar shakti. i am not fan of sharukh, he is my breath. meri jan. i love him respect him loot. and i also suggest him pls verify the script before u signing the project. because we don’t get wish to c u in bad script and ur movie get flop. here is your top 10 most worst movie. amir khan always get jealous about srk. so he made plan to make friendship with sallu. so that he can utilise salman. 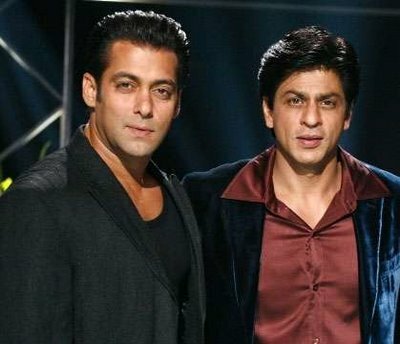 amir only creat distance between sallu and srk. truth is that both heart are beeting for each others love and friend ship. but this bad guy amir akki try to ctreate problem btween them. and they indirectly using salman bhai. shrukh and salman both nice and gentle man. people love them lot. Every one wants c this karn-arjun once agin in screen. please god make it happen soon. friend u comment is 100./. srry 200./. correct. king is king that is shrukh khan. sharukh is real Badasha of Bollywood. Q-why srk is king of Bollywood?? Srk ke samne koi kuchh nahi ssalman,a amir,ajay,Akshay,etc. Koi bhi!! 2013 ka EID Srk ke liye luccckkkyyy rahaa!!!! Finally king to KING hota hai!!! m da supporter of amir khan but when I have to compare between sallu and sharukh no doubt to say that sallu is far behind of sharukh in every aspect.sallu really doesn’t deseve wat he is getting. srk is also best because he is a best actor,as a actor his great experince and he is a good responsable fammily man so his no bad records in own nature…….,i am not compare srk & salman but i think srk is a great actor. just remember always a thing that srk is.king no one is born to beat him…. salman sir is bestt…..wait for KICK nd MENTAL…..MAY GOD BLESS U SALMAN SIR…. Its definitely public power, but one thing to make sure here public wants only entertainment the they are responding good to SRK and Salman as they are great entertainers..
no its only public power…………. its truly wrong 3 idiot is past & chennai express in presant. jab tak he shahrukh jab tak he shahrukh. no one can beat shahrukh.& no one can take place of shahrukh. ACTUALLY I AM ALSO SUPPORT UR COMMENT…….ITS ONLY WORK RECORD BREAKING BECAUSE THA STAR POWER N IN HOLYDAY RELEASE. Truly said Sooraj. It just the Eid factor and the star power that work wonders for these movies. In my opinion 3 Idiots is the only movie truly deserve 200 crores figure.. Both the movies were not not that great, they just captured the right holiday moment with the star power and encashed on it. They are not bad movies but not deserving so much adulations.